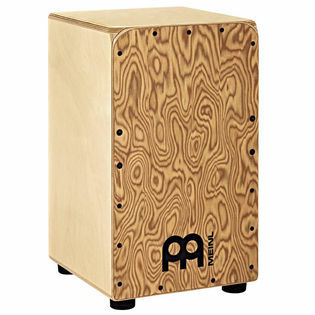 Meinl Percussion have been leaders of the recent resurgence of the cajon, a box-shaped percussion instrument originally from Peru, popular in Peruvian and Cuban music and increasingly in more contemporary styles of music. Meinl Cajons are available in a large variety of traditional designs, as well as in more modern variations, with solid options available for every price range. They are a perfect choice for drum set players looking for a compact alternative for acoustic gigs, traditional flameco and Afro Cuban musicians, or simply anyone looking for an affordable way to experiment with new sounds. 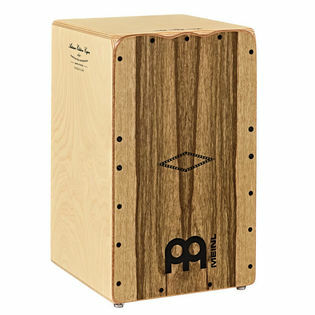 This Meinl Snarecraft Cajon features highly expressive snare sounds that are generated from dual internal sets of snare wires that are fixed against the frontplate. This allows for articulate rhythmic punctuation with a warm tonal quality to give players a focused sound and wide dynamic range. Available in two sizes, the affordable Snarecraft Cajons respond with a punchy low end thud and crisp slap tones. 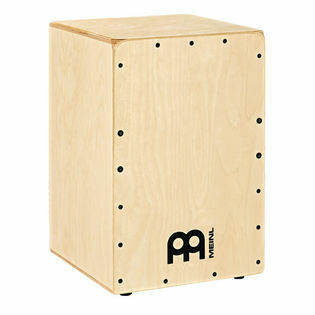 The Meinl Woodcraft Professional Cajon is built from Baltic birch wood and outfitted with specially wound metal strings that span the inside of the playing surface. The combination of wood and snare strings allow the player to produce deep back beats and articulate finger rolls. An elegant mahogany frontplate adds striking aesthetics as well. This Meinl Artisan Tango Cajon features two groupings of three pre-tuned metal micro-coiled cajon strings that span across the inside of the playing surface for a crisp snare effect. A Limba front plate and 7-Ply, 9mm thick Baltic Birch body develops the sound into a full, punchy tone that projects with clarity and warmth. Want more options? View our complete collection of Meinl Cajons to find a sound that is sure to fit your style.